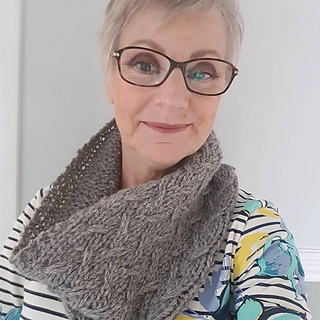 Finished size - height/depth 6.5", circumference 22"
If you are in need of a bit of self care then look no further than this instantly gratifying cowl. 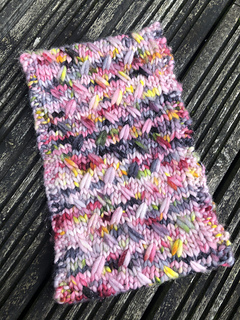 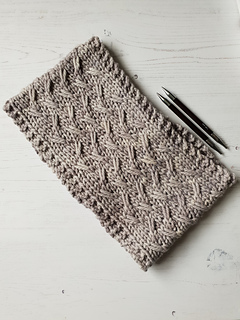 Turn off your phone, put on a film and using chunky yarn, you’ll have a beautiful finished cowl in next to no time. 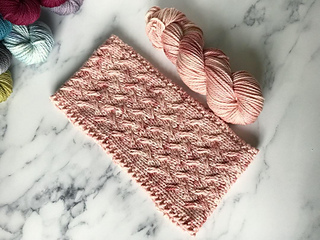 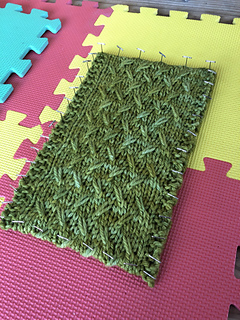 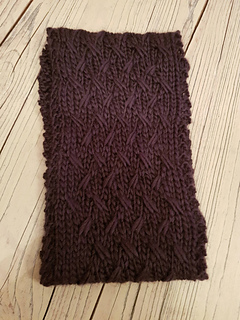 The fun, elongated slip stitches are really simple to work and in chunky yarn they create great texture in the finished fabric. 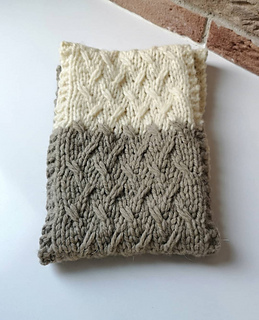 It’s so quick to make you could have one ready to wear to work the next day. 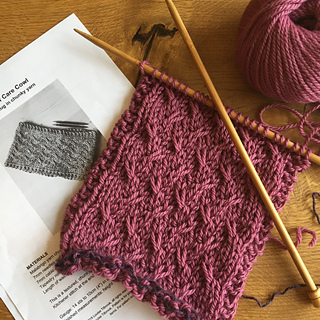 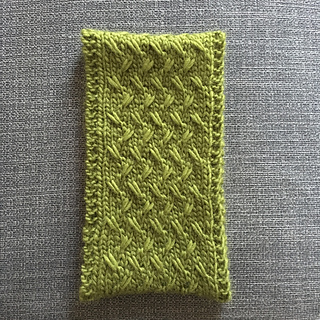 26 Nov 2018: My new pattern - the Mindfulness Cowl is the sister pattern to this one. 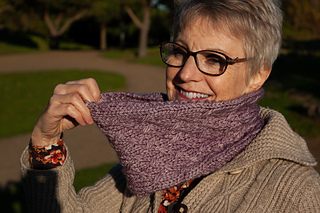 If you add both patterns to your cart (or if you already own the Self Care Cowl) then a 50% discount will be applied to the new Mindfulness Cowl pattern.